Why do I just want tea and toast? I feel rough! The kids have come home with their wonderful winter coughs and colds and I feel rough, so do they so its a pretty yucky household right now! So you would think that with my knowledge, the beautiful fresh fruit and veg sat in my kitchen that I would absolutely be loading myself up with the ginger shots (because I simply love them). I would be hitting a super combo like Pineapple, ginger, apple and coconut water to boost my vitamins to help fight of these nasty and pesky bugs. But No! I just want tea and toast! And you know what is the weirdest thing of all…I don’t normally like bread! My children, however are being loaded with fresh juice, delicious veggie dishes, vitamin boosting fruits and tasty dishes! Actually thats a lie! I also want to eat Ben and Jerry’s Ice cream by the bucket load but I think that is more to do with the sore throat than anything else! So why is it that this is what I want? Why is it, when I am very much aware of the nutritional needs that i really have that I seem to want this lacklustre and nutritionally inept, but oh so comforting meal? To answer this question we need to say hello once again to our “crazy brain”. If you are familiar with the work of FitER the “crazy brain” is a term you may well be familiar with, but if not then I will describe it simply. The crazy brain is the part of us that despite knowledge, common sense and all reason encourages us to make poor choices, it tells us that skipping meals will make us skinny, it tells us that because the advert on TV shows us this breakfast bar called the ‘healthy breakfast’ with pictures of nature and slim people eating it that this must be a good option, our crazy brain is the part of us that makes us feel guilty for breaking the “diet” and that we will now fall into a negative spiral of self punishment, the crazy brain is the brain that tells you that it must be a good idea to re-join the diet club you have been going to for years and years because you have put weight back on again and that eating the artificial ‘diet foods’ must be the only way you will ever lose weight and keep it off (even though you are rejoining the group for the 7th January in a row!). Your crazy brain has a lot to answer for and is susceptible to the giants in marketing that feed your crazy brain confusing messages, messages of health but really are only messages for the bottom line, the crazy brain is susceptible to quick fixes and fad diets, the crazy brain is the part of you that needs work and is in fact the topic of one of the FitER books (soon to be released). 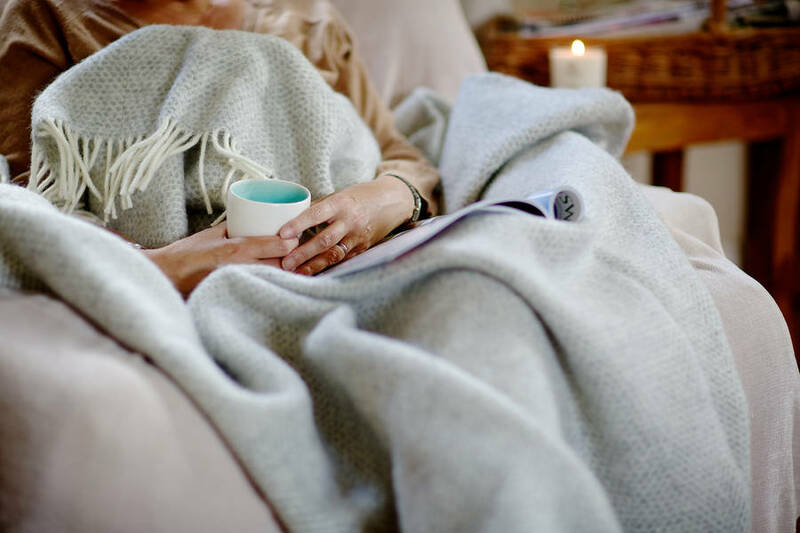 In this situation despite my bodies needs for nutritional foods, for fresh produce and life giving energy my crazy brain is influenced by the cozy adverts of sick people being soothed by a steaming cup of tea under a blanket on the sofa. My crazy brain is influenced by the love and kindness as a child that if I felt unwell my mum wound snuggle me under the blanket, make me a warm milk and give me toast. My crazy brain draws upon happy memories of comfort to soothe my aches and pains. The same is true when it comes to weight loss, stress, emotional eating. Our crazy brain just loves to take control and being so susceptible to the subliminal messages of the media, of advertisers and big businesses (especially the food industry) and it is recognising this part of us, understanding it, being mindful of the feelings and sensations that we can then start to take control. Strangley enough my crazy brain does not give in when it comes to my children, in fact the Rottweiler of a nutritionalist comes out! But for myself crazy brain wins out, perhaps all my fight and will power is focused on ensuring that my children, who feel rough, tired and emotional are getting their needs met that I am simply too exhausted to do the same for myself! At this point the logical brain screams at me vitamin C, B12, folate…. argghhhhhh! For now, I feel rough, but I know why I crave these foods, I know that the comfort is only temporary (actually bread, whilst totally yummy does not agree with me at all), and I know that I am in control of my crazy brain most of the time, to beat myself up about just wanting tea and toast would be just the negative feelings my crazy brain would be looking to consume me with! In the past, any periods of binge eating, bad eating or eating that literally makes me feel about a stone heavier (like tea and toast for 3 days) would result in a very negative self torture like mindset almost of criticism. But over time, through readings and experience what I have developed is not only an understanding of the crazy brain but also a mindful awareness that this is not a disaster, that I can take control and that the good health that I have maintained, the nutrition I consume and the habits I have will all take hold again and I won’t need to beat myself up for the ‘damage’ I have done. Tea and toast for now is OK, I have also boosted my nutrition with a delicious juice and plenty of water and will soon be back to my old ways of super tasty, nutritious foods! Previous Previous post: Diets are for January! Healthy living is for life!